Geoff Marcy is a professor of astronomy at the University of California, Berkeley. Geoff Marcy, a leader in the field of exoplanet science, was found to have "violated campus sexual harassment policy" at the University of California, Berkeley, where he works, an investigation by the university has concluded. The investigation, conducted by the school's Title IX office, "stemmed from a number of incidents believed to have occurred between 2001 and 2010 and involved students who have since graduated," according to a statement from the university obtained by Space.com. The results of the investigation were first reported to the public in a story by BuzzFeed News published last Friday (Oct. 9). 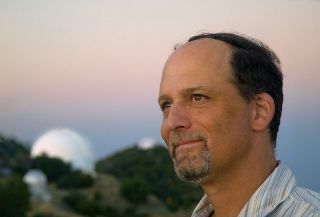 Considered a leader in the field of exoplanet science, Marcy and his research group have "made many key discoveries, including the first multiple-planet system, the first Saturn-mass planet, the first Neptune-mass planet, and the first transiting planet (with Tim Brown and Dave Charbonneau)," according to his UC Berkeley faculty page. He also has been heavily involved in science outreach, having appeared on many popular science television documentaries, including multiple episodes of the PBS series "NOVA." In 2001, he made an appearance on "The Late Show with David Letterman." The news of the UC Berkeley investigation's conclusions, and the subsequent consequences for Marcy, have been covered by major news outlets, including The Washington Post, The New York Times, The Atlantic and Forbes, among others. Azeen Ghorayshi, author of the BuzzFeed News article, spoke to three of the four complainants in the investigation. The investigation, and its coverage by the media, has initiated a public discussion by members of the astronomy community about sexual harassment in the field. Marcy has been both a professor of astronomy at UC Berkeley and an adjunct professor of physics and astronomy at San Francisco State University since 1999. On Wednesday (Oct. 7), Marcy issued an "Open Letter to the Astronomy Community," addressing the UC Berkeley investigation. In the letter, Marcy wrote that he "[does] not agree with each complaint that was made" in the investigation. He did not address any of the specific claims made against him, but wrote, "It is clear that my behavior was unwelcomed by some women. I take full responsibility and hold myself completely accountable for my actions and the impact they had." Marcy's letter, dated Oct. 7, states that the "complaints […] were raised last year," and that the investigation "concluded three months ago." Marcy continued, "It is difficult to express how painful it is for me to realize that I was a source of distress for any of my women colleagues, however unintentional. Through deep and lengthy consultations, I have reflected carefully on my actions as well as issues of gender inequality, power, and privilege in our society. I was unaware of how these factors created unforeseen contexts and how my actions and position have affected others in ways that were far from what I intended. Through hard work, I have changed in major ways for the better." UC Berkeley's initial statement on the matter said that "Professor Marcy and the Vice Provost entered into an agreement that states [Marcy] will abide by clear expectations concerning his future interactions with students. Were he to fail to meet those expectations, the terms of the agreement provide that he would be immediately subject to sanctions that could include suspension or dismissal." In response to criticism that those terms were not harsh enough, the university issued another statement: "The university has imposed real consequences on Professor Geoff Marcy by establishing a zero tolerance policy regarding future behavior and by stripping him of the procedural protections that all other faculty members enjoy before he can be subject to discipline up to and including termination." The statement continues, "The university concluded that establishing clear behavioral standards governing his interactions with students inside and outside the classroom, and requiring him to waive his procedural rights in the event he violates the agreement, was the most certain and effective option for preventing any inappropriate future conduct. "The UC system has, for some time, been evaluating and revising its procedures for addressing sexual harassment, and we are committed to working with the appropriate university officials to evaluate improvements to the faculty disciplinary process as it relates to sexual harassment." Marcy had initially sent his open letter to the American Astronomical Society's Committee on the Status of Women in Astronomy (CSWA) for publication in its newsletter, but CSWA and AAS declined the request, according to a blog post by CSWA Chair Christina Richey. But Richey spent very little of her post discussing Marcy's letter or the investigation, and instead wrote that the "key group to whom I intend to focus my comments on is the women (and men) who are encountering harassment within our field and to offer any assistance they need. This post is meant for the greater astronomical community, and those who would like to help in fostering a safe and welcoming environment for all." "The Committee on the Status of Women in Astronomy is charged with recommending to the AAS Council practical measures that can be taken to improve the status of women in astronomy and encourage their entry into this field," Richey wrote. "One of the key issues that the committee has worked to assist with is harassment. From resource pages, to blog series, to community talks, to studies within our field, we have worked to improve our community's understanding of how harassment is occurring, how to report and respond to issues of harassment, and we have been advocates and guides for those who have encountered harassment. We have begun to raise awareness on this issue to the highest visibility possible, and while we have made progress, this is still an issue many of the people in our field are dealing with on a daily basis." "This problem is not just isolated to one incident or one person in our field, but to a larger societal issue of the misuse of power," she continued. "In order for our field to become a safer environment for everyone, particularly for early career women, this abuse of power needs to be addressed." According to BuzzFeed, a group of astronomers has started an online petition in response to the investigation. It reads, "I support the people who were targets of Geoff Marcy's inappropriate behavior and those who have spoken publicly about it. I agree that sexual harassment has no place in our community." The petition has gathered 2,224 signatures as of this writing. On Monday night (Oct. 12), 22 faculty members from the UC Berkeley astronomy department released a statement regarding the university's investigation into Marcy's behavior. (The link to the statement appeared in a follow-up article from BuzzFeed). The statement says: "We, the undersigned UC Berkeley Astronomy faculty, write to make clear that sexual harassment has no place in our Department, and that we fully support the survivors of harassment. We regret the harm caused by our faculty, and reject any suggestion that our sympathies should be with the perpetrators of sexual harassment. We are committed to developing and maintaining a supportive, open climate in which all members of the Department can thrive, regardless of gender, ethnicity, sexual orientation, disability, or religious faith. This goal has been compromised by policies that led to a lack of communication in UC Berkeley's handling of Geoff Marcy's sexual harassment case. We urge the UC Berkeley administration to re-evaluate its response to Marcy, who has been found in violation of UC sexual harassment policy. We believe that Geoff Marcy cannot perform the functions of a faculty member."